I decided to make both versions of this recipe at the same time. Maybe not the brightest idea, but I really wanted to make them both and I had time constraints. Since I have a tiny kitchen, it was all about the timing. I started the second dough about 30 minutes after the first, so the oven would be free. And I had to set two different timers and keep track of time very well, so to not mix up the timing for each dough. First was the walnut. The dough was just like the pain de campagne, with the rye and whole wheat flours. The raw chopped walnuts are added in at the last minute. 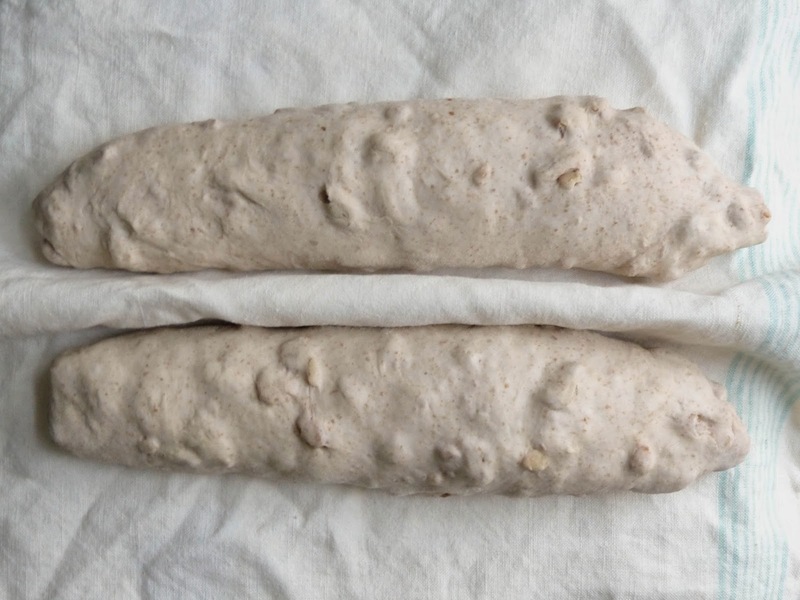 The dough was super lumpy from all the walnuts, but it wasn't any more difficult to work with. I'm a lot more comfortable with the folding and shaping technique now, and the bâtards were easier for me this time around. Although I still had difficulty transferring them from the peel to the stone, even after flouring the peel. They came out smelling amazing and looking super golden brown and delicious! The scoring could have been a bit deeper, but overall I'm pleased with the results. 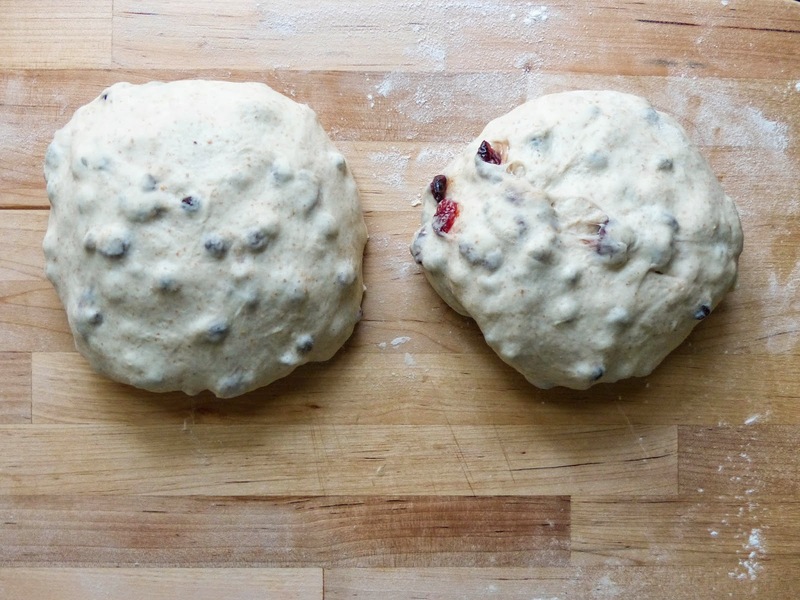 I started the cranberry-currant dough about 30 minutes after the walnut dough. It worked out perfectly, when the walnut dough was done mixing and after I made the first fold, it was about thirty minutes later. And it helped a lot that I have two mixer bowls and two dough hooks so I didn't have to wash each one immediately. The fruits looked so pretty mixed throughout the dough. 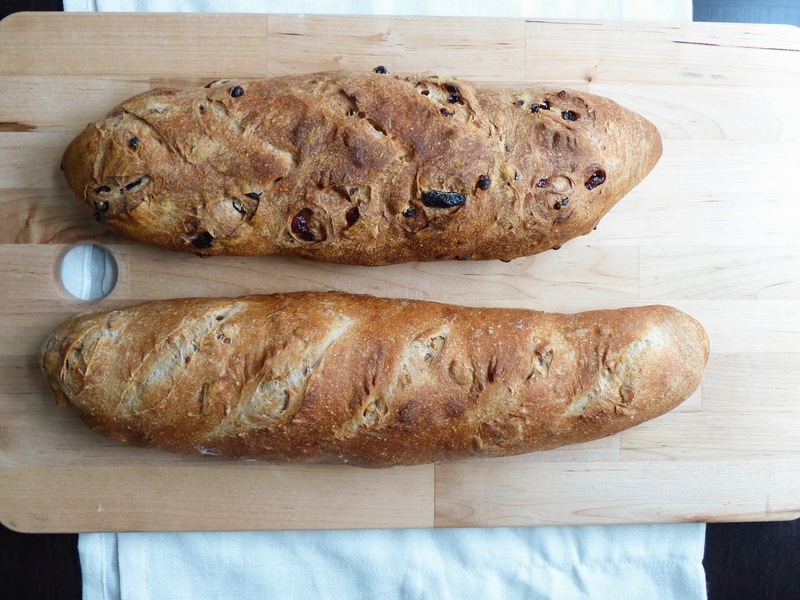 After the first batch of walnut bread came out of the oven, I slid the cran-currant bread in, quite easily! I was so happy that I finally got the transferring technique down and the bâtards held their shape well. Although one was a bit smaller than the other, they came out of the oven dark brown and fragrant and beautiful. After proper cooling, I had to cut a little piece of each to try, with some butter on each. The inside crumb was soft but a little dense, and the crust was crisp and thin. 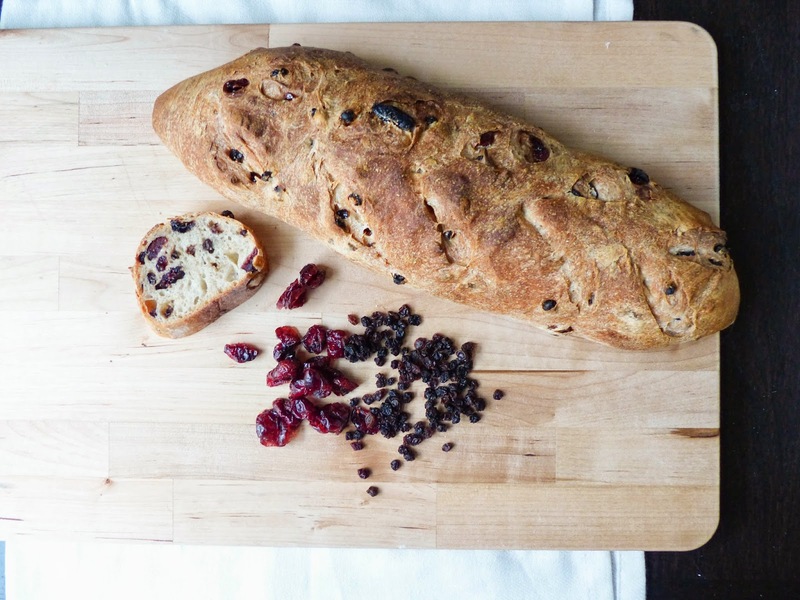 I wasn't sure if I'd like the cranberry-currant bread, since dried fruit is not my favorite thing, but it was delicious! Soooo good! I can imagine it would be great with a drizzle of honey and a little sprinkle of cinnamon. Sweet and tart and rustic and amazing! 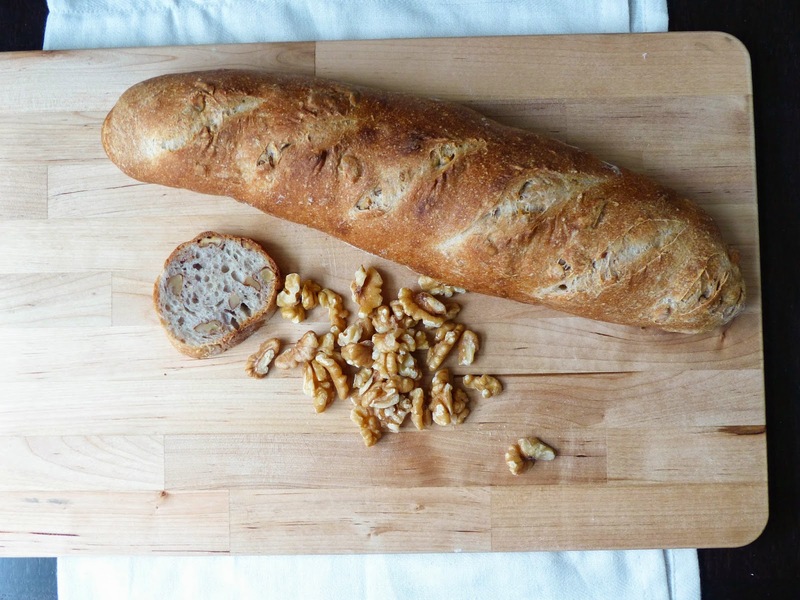 The walnut bread was super good too, and I even spread a little peanut butter on it, which made it that much better. I shared some of each with my family who is visiting right now and they were super impressed! Two breads, one base dough, sweet and savory. 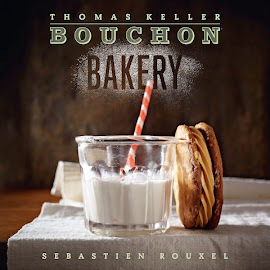 I love how the addition of a different ingredient can completely transform the same bread into two completely unique flavors. I can tell that as we progress in this chapter the breads will get more complex and challenging. So far I'm really pleased with the results and how I've been improving week to week, and I'm looking forward to more challenges.